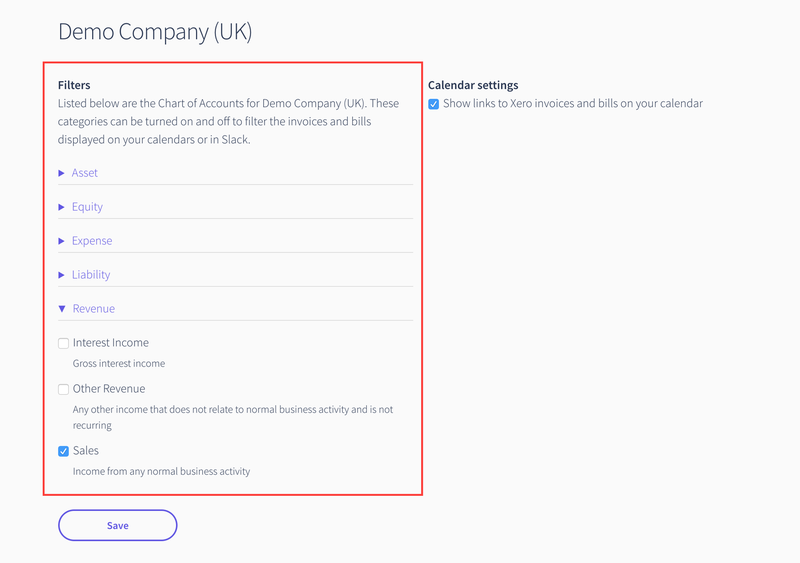 InView imports Xero Chart of Accounts for each of your organisations. You may turn them on or off in order to filter the types of invoices and bills that are shown on your calendars and within the Slack daily digest. Find the filters on the organisation Settings page. Choose the types you wish to include on your calendars and click Save. Please allow a few moments for the calendar to update on all your devices.